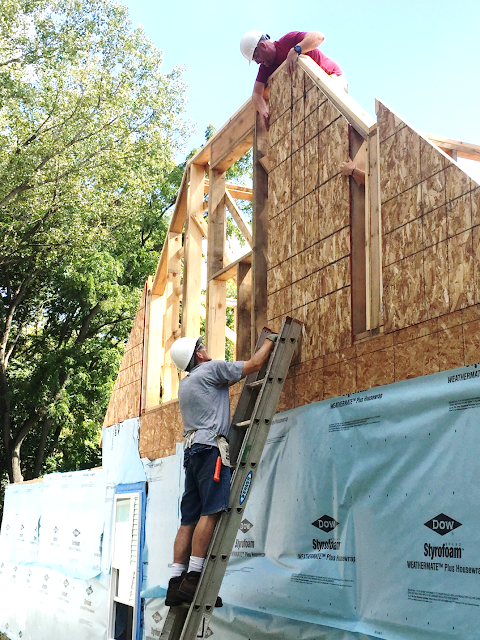 Helping people is our mission, and volunteerism is deeply rooted in our DNA. Today, on behalf of ACT, I want to personally thank anyone who volunteers for the causes they care about. Your service brings light to the world, be it in the classroom, in the board room, or in whatever way you selflessly share your gifts and passions with others. Thank you! The Points of Light organization has designated April 7-13, 2019 as National Volunteer Week in the US. National Volunteer Week is an opportunity to celebrate the impact of volunteer service and the power of volunteers to tackle society’s greatest challenges, to build stronger communities, and be a force that transforms the world. 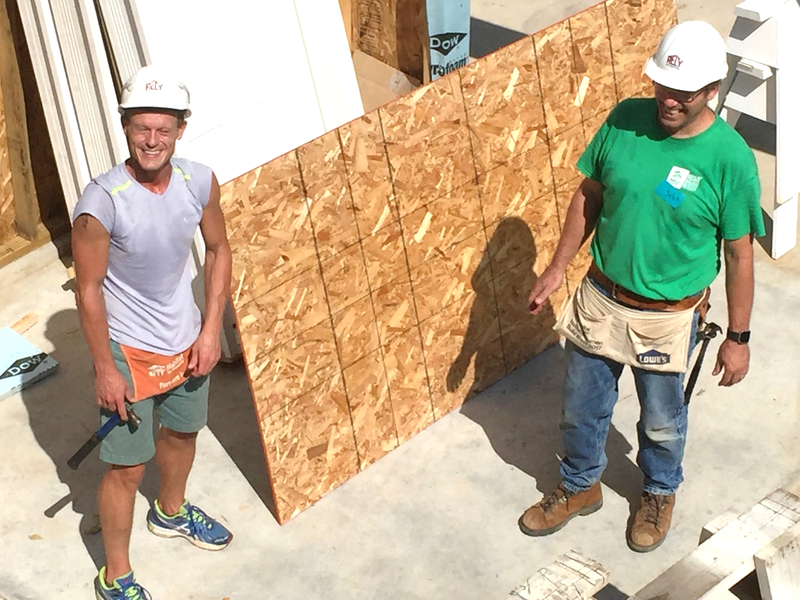 Last September, members of my team got out of the office and into the community to work on a house being built by Habitat for Humanity. The house is on Governor Street in Iowa City, about a mile and a half south of the ACT campus. I’m still so proud and thankful for the Enterprise Information Systems (EIS) team members who participated in the Habitat project. Your service literally changed lives. At ACT, we bring together team members who inspire and motivate others by promoting a culture of caring for our communities, our customers, one another, and especially our mission. 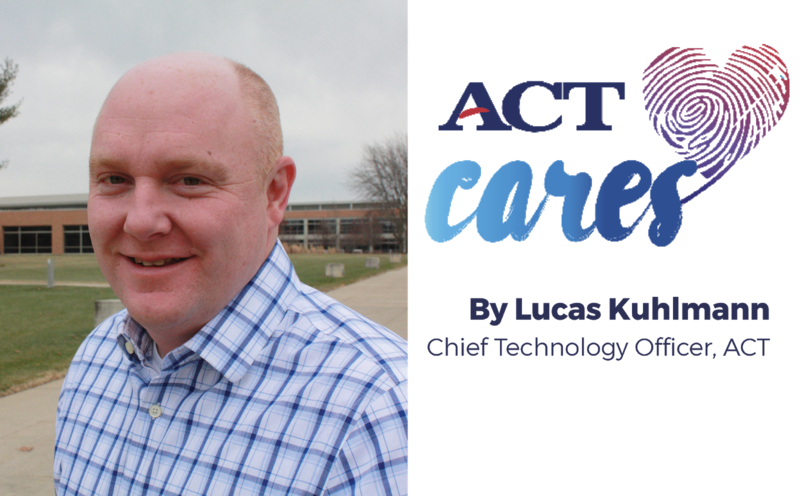 We frequently connect team members to volunteer opportunities in the local Iowa City area, promote corporate-wide drives, and select mission-aligned organizations with support from ACT resources. Thank you to all the ACT team members who dedicated more than 332 days of the year volunteering. Whether you consider yourself a volunteer veteran, or are looking to get involved in your community, we hope you can dedicate some time to serving others this week.